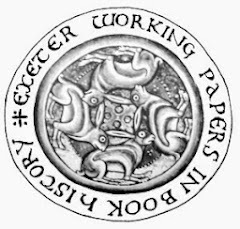 Exeter Working Papers in Book History: Scandinavia. 1781. This page is one of a series which seeks to trace the spread of printing and the book trade in Europe in the late 18th century to provide comparative data for the study of the British book trades. The date of 1781 has been chosen as it is the year in which the third and fullest edition of Antoine Perrin's Almanach de la librairie appeared. A start has been made on extending the information in Perrin for some countries by reference to imprints held in major libraries. The format of entries is based on a structure under development to provide a simple platform-free database for book trade personnel. E_DE_HELSINGØR. (Elsinor), Denmark. Not in Perrin. E_DE_Helsingør. Peters, H. 1781. De schimmen van Doggersbank, aan het vaderland en aan hunne [...] niet gesneuvelde caameraats. Sources: Staatsbibliothek zu Berlin. E_DE_KØBENHAVN. (Copenhagen, Copenhague), Denmark. Perrin : 1777, 1778 : 8 booksellers. 1781 : 7 booksellers. E_SV_ SVERIGE. (Sweden) Perrin 1777 : 1 town. 1778, 1781 : 2 towns. E_SV_Upsala. Edman. 1781. Quæstio An Et Quatenus Fabulæ Veterum Poëticæ Ex Historia Sacra Ortæ Sint Er. Suen. Kullman. Sources: Staatsbibliothek zu Berlin. Copyright © Ian Maxted and the libraries represented, 2014. This page last updated 9 April 2014.